African culture is rich and enduring with fashion styles that end up in the Western world. If you are looking for something different to wear for a special event – perhaps a wedding ceremony – consider elements from African fashion that you can borrow for a look that is elegant and rocking. These ideas incorporate the best of the continent blending them with the offerings of the Western world – a fusion that’s nearly guaranteed to make head turns for its fresh appeal. The offerings of men’s fashion in Africa is not as diverse as that of the women’s. What dominates the runways is of course the African print – a kaleidoscope of rich and vibrant colors & patterns that are very attractive. They are commonly used in beautiful traditional clothes. You can choose colorful print or a muted design on a shirt. Plackets, hems and cuffs may be splashed with the Ankara print making them stand out. For sure, introducing a hint of color in your wardrobe from shirts to accessories will make your outfits conspicuous. Protecting your head from the cold is essential to keep the rest of you warm and toasty. Looking for something different? Consider the head wrap in colorful or muted shades. If you have long locks, a bandana will not only keep them neat but also gives a sense of style. Head wraps are not only for women but also men. In traditional Africa, head wraps are symbols of status and respect. No man’s wardrobe is complete without shoes. They are important to keep the feet protected and warm during the cold season. Footwear is also an important style element. From boots to clogs, shoes with an African touch are stylish. Global footwear consumption is projected to rise fueled by higher disposable incomes and stylish products according to Global Industry Analysis, Inc. The shoe industry in the continent has expanded rapidly in the last years and its value is expected to increase to $1 billion in the next 10 years (Smallstarter). Consider trendy footwear brands such as HTW (Heel the World) of Ghana or TT Talk of Nigeria producing leather shoes that are elegant with a touch of the African spirit. From brogues and loafers to oxfords and moccasins, there is a pair of shoes that will suit your fancy and your sense of style. Not everyone likes or can pull off an African motif with colorful fabrics or designs. However, it is in the detail that your sense of fashion stands out. For example, a nice necktie will always give your ensemble a different touch whether you are trying to evoke a serious appearance or a playful look. Belts also can complete your outfit with ethnic prints a delightful touch. For the daring, animal prints are the way to go. Dressing up from the head to the toe with African elements is another way of expressing your fashion style. 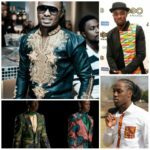 The African culture has many surprising and good elements that exude a different allure for men who are willing to experiment and brush up on their styles.